It is generally assumed that regional integration leads to stability and peace. This book is a systematic study of the impact of European integration on the transformation of border conflicts. It provides a theoretical framework centred on four 'pathways' of impact and applies them to five cases of border conflicts: Cyprus, Ireland, Greece/Turkey, Israel/Palestine and various conflicts on Russia's border with the EU. The contributors suggest that integration and association provide the EU with potentially powerful means to influence border conflicts, but that the EU must constantly re-adjust its policies depending on the dynamics of each conflict. 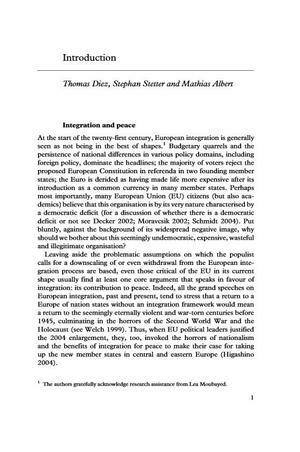 Their findings reveal the conditions upon which the impact of integration rests and challenge the widespread notion that integration is necessarily good for peace. This book will appeal to scholars and students of international relations, European politics, and security studies studying European integration and conflict analysis.